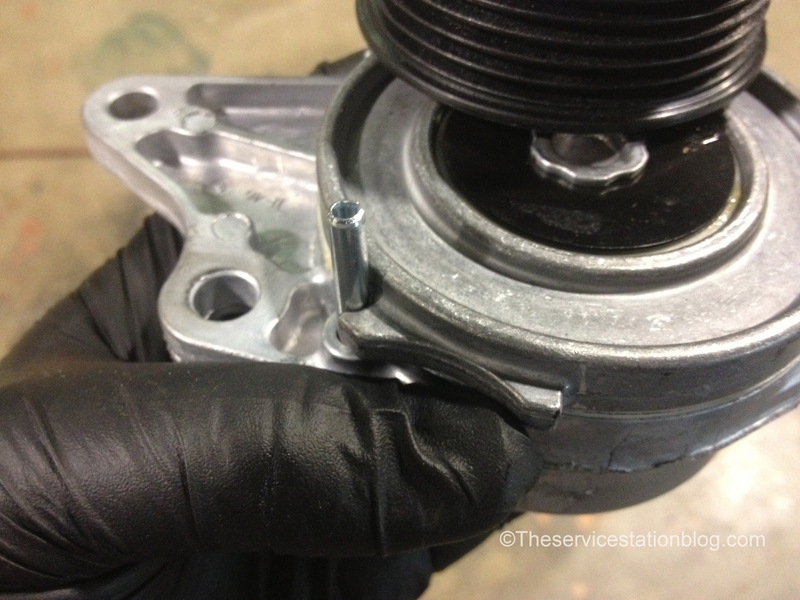 Quick tip when replacing the tensioner on a Windstar like this: the bottom bolt on the tensioner is pretty difficult to get to with the belt off and the tensioner released because the pulley covers it. 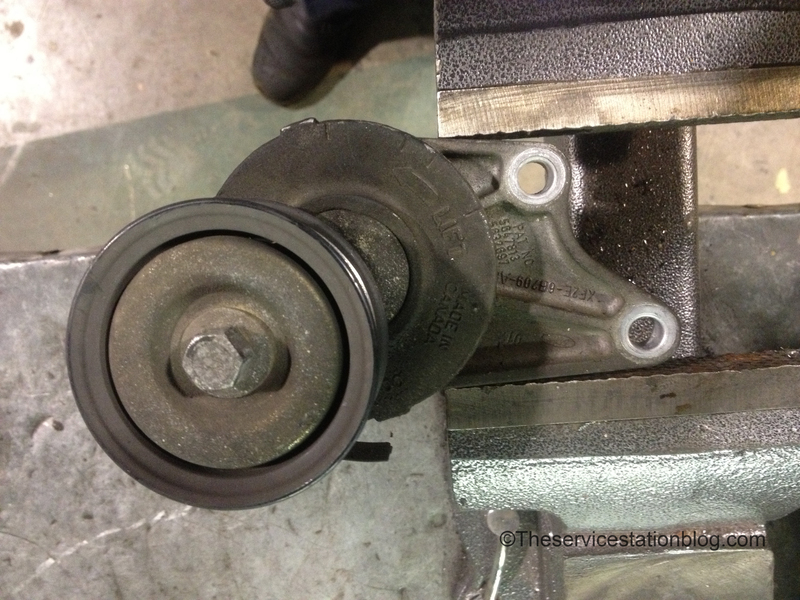 However, when you rotate the tensioner, the pulley clears the bolt so it can be removed. 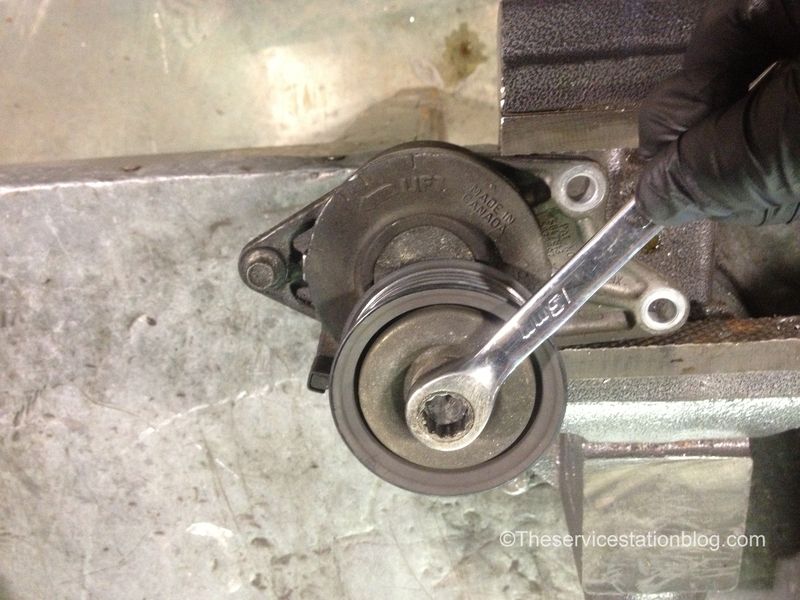 But it’s really hard to rotate the tensioner and remove the bottom bolt at the same time right? Here’s where Ford actually made a pretty snazzy engineering decision (for once…). They put a spring loaded tang on the side of the tensioner to keep the pulley out of your way. Pretty neat eh? That also helps if you’re replacing just the belt because it’s nearly impossible to hold the tensioner and put the belt on the last pulley. These guys put a roll pin on the FRONT side of the tensioner instead of the spring loaded tang on the side like Ford did. 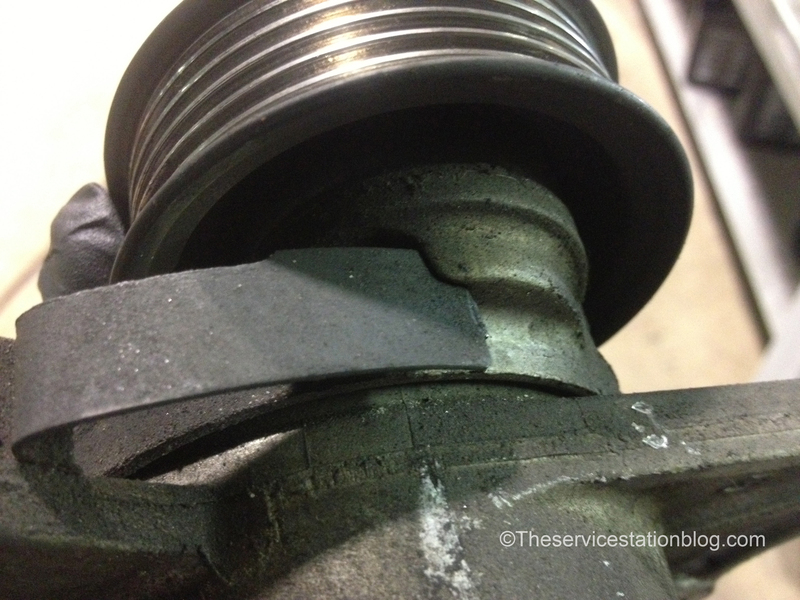 Thankfully, unlike most roll pins, this one was very easy to remove once the spring tension was released from the tensioner after installation. The top bolts are still a bit of a pain to replace, but it wasn’t terrible. 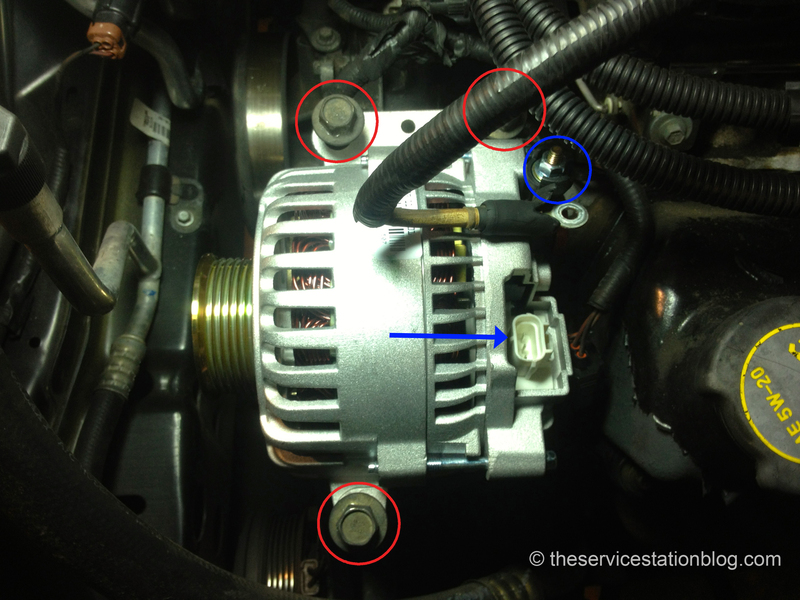 All that’s left is to tighten the three bolts (red circles), attach the battery cable (blue circle), and reattach the voltage regulator connector (blue arrow), and install the new belt. 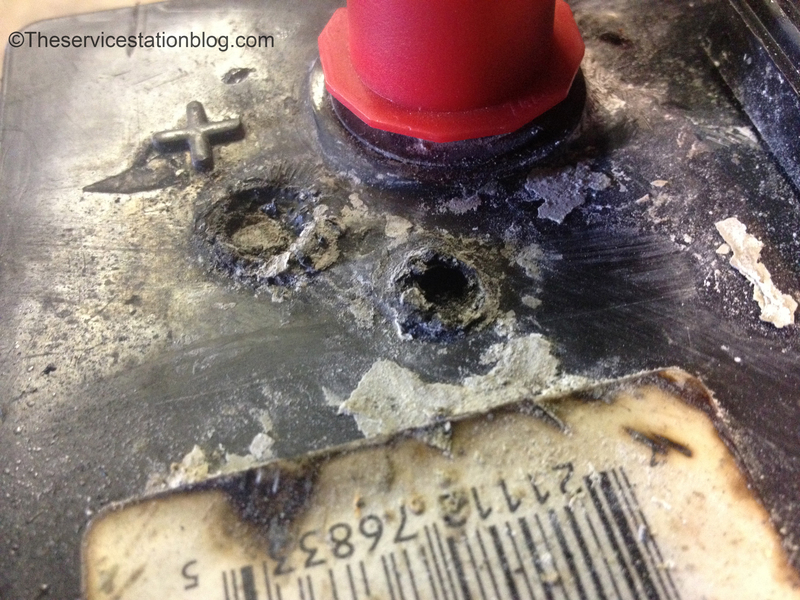 Because the battery had been overcharged for quite sometime, it needed to be replaced because it was heavily sulfated internally. We’ll discuss what that means in a later post. Hope this helps someone working on a 2000-era Ford Windstar! < Previous Welcome to The Service Station!